Whether you are interested in historic monuments, fine sand beaches, culture or gastronomy, Le Céladon is ideally located between Brittany, Anjou and Poitou. La Baule: Listed as one of the most beautiful bays in the world, the largest beach in Europe, which is 9 km long, offers a playing field of exceptional dimensions. But La Baule also offers pine forests and its famous 19th century villas. Make your way along the wild coast to Le Croisic, a 17th century port which has kept all its authenticity with its harbour, fishermen’s houses and ship-owners’ villas. To finish, cross the salt marshes to the small medieval town of Guérande, with its ramparts, monumental gates, paved streets, collegiate church, and more. 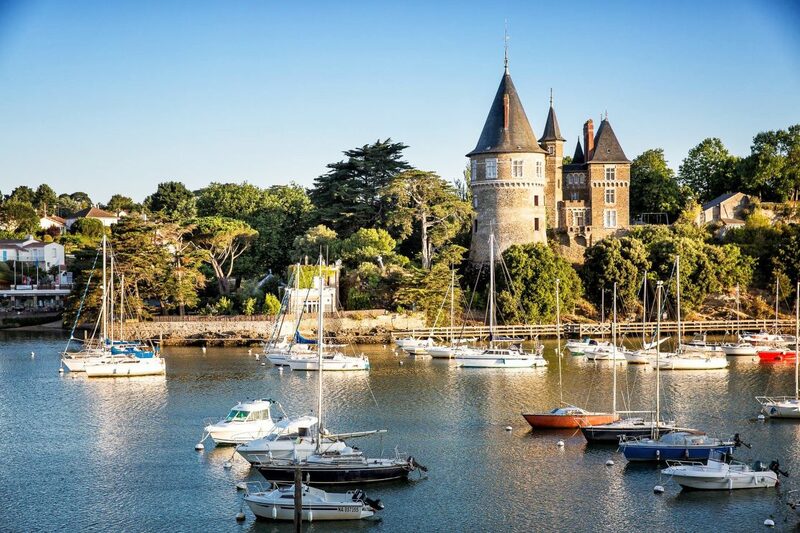 Pornic: The pearl of the Jade coast, Pornic is a must when visiting Brittany Loire Atlantique. Take advantage of your visit to discover the treasures of its heritage and the beauty of its ports that have been used by fishermen, pirates and leisure sailors. Guérande and its salt marshes: With its sturdy 14th and 15th century ramparts, Guérande is the “Carcassonne of the west”. In addition to its 1,300 metre fortified walls, the town has many outstanding monuments, such as Porte Saint-Michel, its collegiate church and Notre-Dame-la-Blanche chapel. Its historic centre is superb and it is enjoyable strolling around its streets where many shops and restaurants can be found. Before leaving, pay a visit to the salt marshes, a protected site that covers 1,400 metre where ancient production techniques are employed. 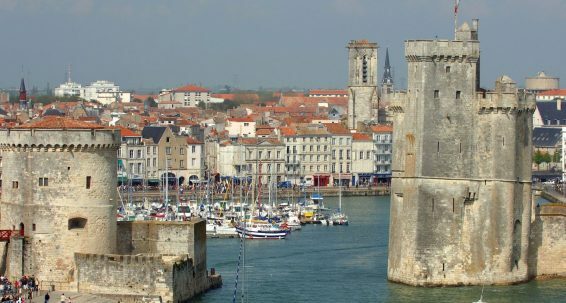 La Rochelle (119 km, 1 hour 30 minute journey): With a very rich architectural heritage, La Rochelle is an ancient town which has preserved all its historic charms. Its old port, but also its churches, secret streets lined with arcades, old wooden houses and townhouses will offer you an insight into a fascinating history. The town is also known for its events, such as the Francofolies music festival or the Grand Pavois boat show.